Convenient Location close to Shopping and Restaurants. 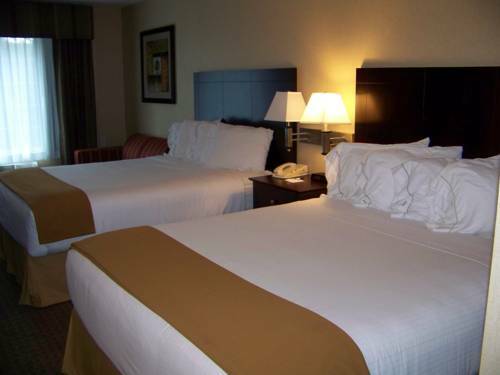 Known as the City of Roses and Beertown and home to over 150 galleries, 42 theaters and tax-free shopping, Portland offers something for everyone, and this hotel is the perfect base location. Only two miles from downtown Vancouver city center The Waterfront, eight miles from downtown Portland and twelve miles from PDX, this hotel's location is ideal. We are next to Jantzen Beach Center Mall, Portland Auto Auction, Target, Best Buy, DSW, West Marine, and Hayden Island Industrial Park. Within a few minutes arrive at University of Portland, Delta Park Owens Sports Complex, Swan Island, Con-Way, FedEx, Daimler, Bonneville Power Administration, Legacy Emanuel or Legacy Good Samaritan Medical Centers. The Portland Expo Center and Portland International Raceway are two miles away. The Portland Convention Center and MODA Center are seven miles away. MAX Light Rail station is only two miles from the hotel so you can travel effortlessly. While in Portland, guests can taste 150 beers at the Portland International Beerfest or delight in spectacular parades during the Portland Rose Festival. After a full day enjoy a workout in the Fitness Center before relaxing in the heated, indoor pool and whirlpool. Work efficiently with complimentary Wi-Fi. We're one of the Great Hotels Guests Love! Childrens's program - Swimming pool.